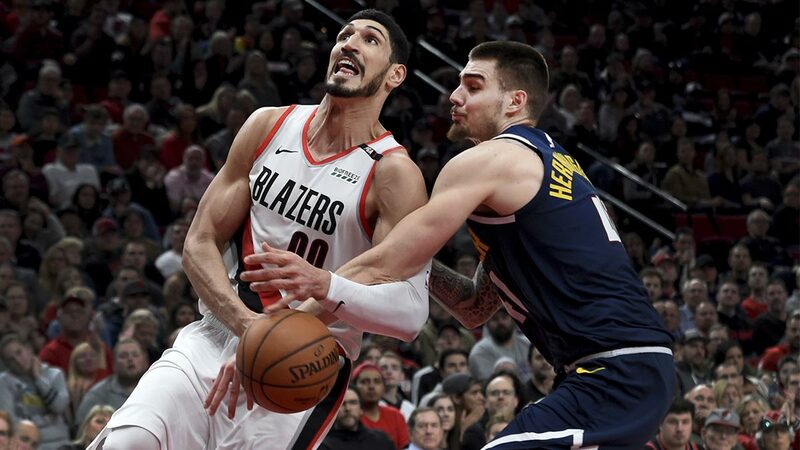 PORTLAND - For fear of being politically persecuted by the regime of Turkish president Recep Tayyip Erdogan, Enes Kanter hasn't been back to Turkey since 2016. Last February 7, the New York Knicks bought out the remainder of his $18.6 million salary for this season and then waived him. In a span of six days, before the Portland Trail Blazers signed him, Kanter, basically a man without a country, was also a man without an NBA team. But on Sunday, in the first playoffs start of his seven-year career, Kanter darted back into the limelight when he played a pivotal role in Portland's 104-99 victory over the OKC Thunder in their Round One series opener. The 6-foot-11, 250-pound Kanter hit 8-of-15 field goals for 20 points while helping the Blazers limit the Thunder to just 37 of 93 from the field (39.8 percent). He did the most damage off the boards, pulling down 18 rebounds, including seven on the offensive end which repeatedly thwarted OKC's fourth quarter surge. Blazers head coach Terry Stotts was all praises for Kanter, the third overall pick of the 2011 NBA draft out of the University of Kentucky. "He gave us a lot of toughness inside. Obviously, his rebounding and scoring, I thought his conditioning was really good. He maintained a high level of play for a long period of time," Stotts said. If he keeps up this pace, looks like Kanter may have a found a new home in the NBA. BROTHERS IN ARMS. The Moda Center was sold out for Game 1. 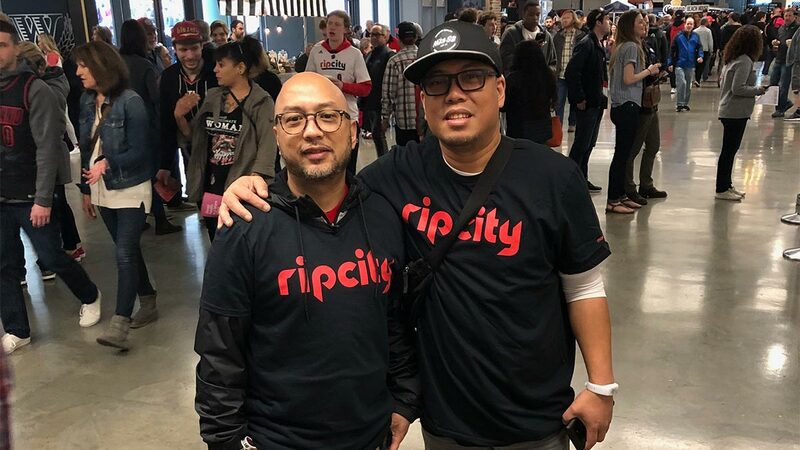 Among the 19,886 fans were brothers Dennis and Dan Alcantara who are courtside season ticket holders. The Alcantaras trace their roots to Antipolo, Philippines but now call Portland home. Their favorite player is Damian Lillard.